The snowpack continues to recede with the summer melt. It’s okay though, it will be back next year and there is a positive. In this case, it means the rivers begin to rise and whitewater rafting season begins! A quick history lesson…this activity started as a way to explore unknown rivers and the areas that surround them. The first rafting trip happened in 1811 on the Snake River through Wyoming and Idaho. The equipment at the time made it too difficult to navigate the entire river. In 1840 the Rubber Raft was invented by Lt. John Fremont and Horace H. Day. With this new invention on June 9th, 1840 a successful scientific exploration of the Snake River was led by Clyde Smith. Nowadays, it’s not about exploration. It’s all about fun. Rafting has become another fun way to experience the mountains. All adventure seekers must give this a try! All adventure seekers must give this a try! 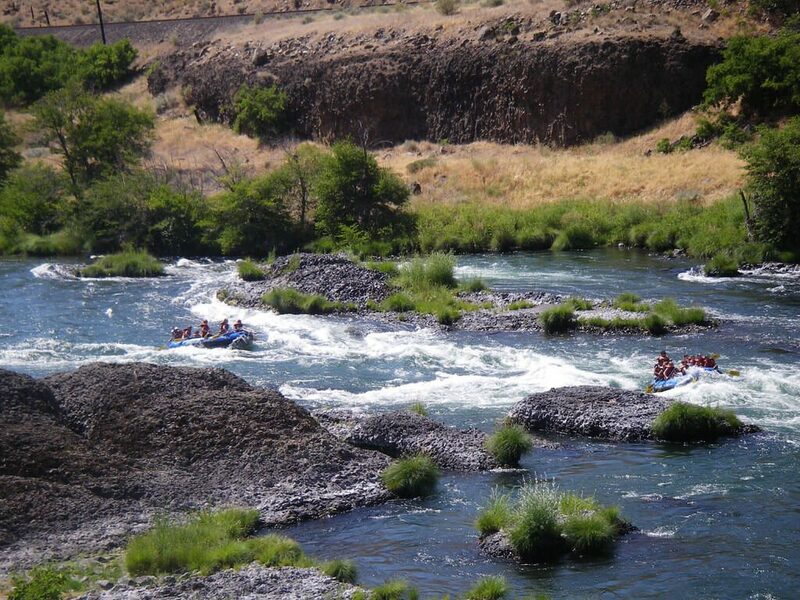 One of the most popular river rafting journeys in North America is the Deschutes River. Named by French fur traders for their rapid, these are a sure bet to be a blast! Known for its consistent water flows, sunshine, and amazing scenery it’s perfect for anyone looking for some adventure. This is just a taste, a glimpse into the sport of white water rafting and just one more way to enjoy the mountains. If you are looking for a new activity with an adrenaline fix, give this a go!